I know, I know, florals...groundbreaking! But in my defence, this is a trend that's everywhere for the spring/summer season. I’ve never been that into flowers, both in real life and in print form. If I’m being honest I've always found it looked too ‘sweet’, while I prefer a little more edge to my outfits. 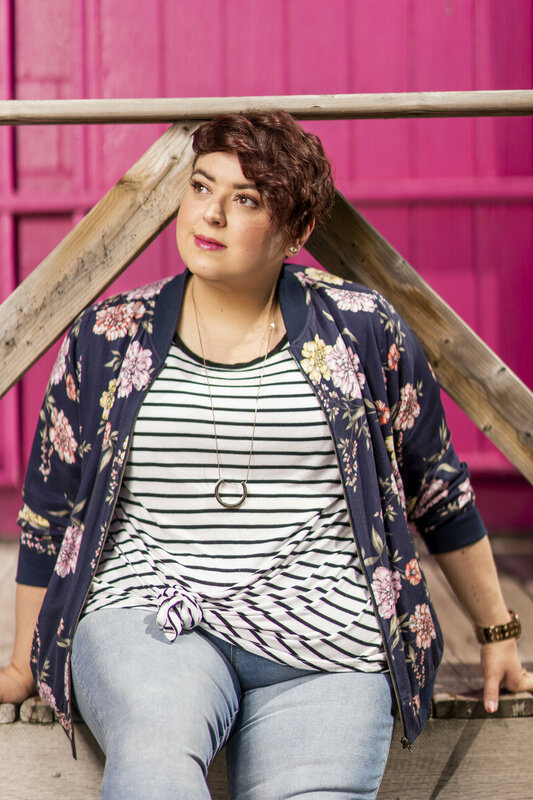 Well here’s me jumping on the trend bandwagon, because when I found this beautiful floral bomber from Torrid, I had to have it. It’s a perfect layering piece. It brings an injection of colour to a neutral look, without overwhelming the other pieces. I also love the deep blue background of the print, which acts as an anchor for the brighter pinks and yellows within the petals. Here I paired the lightweight, cotton bomber, against a white and black stripe shirt and jeans. I love the contrast of the conflicting patterns, which for me brings that little bit of edge to an otherwise, simple look. 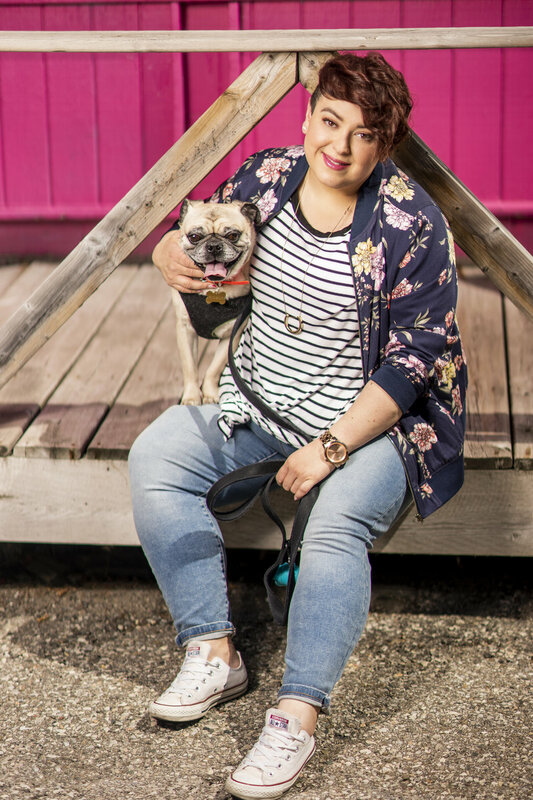 And no casual day off look would be complete without a pair of Chucks and your best friend by your side! I also have to mention these jeans! Through my recent health journey I have come down a few sizes and recently discovered the extended range at Reitmans. They have the right amount of stretch, a higher rise and fit like a glove. 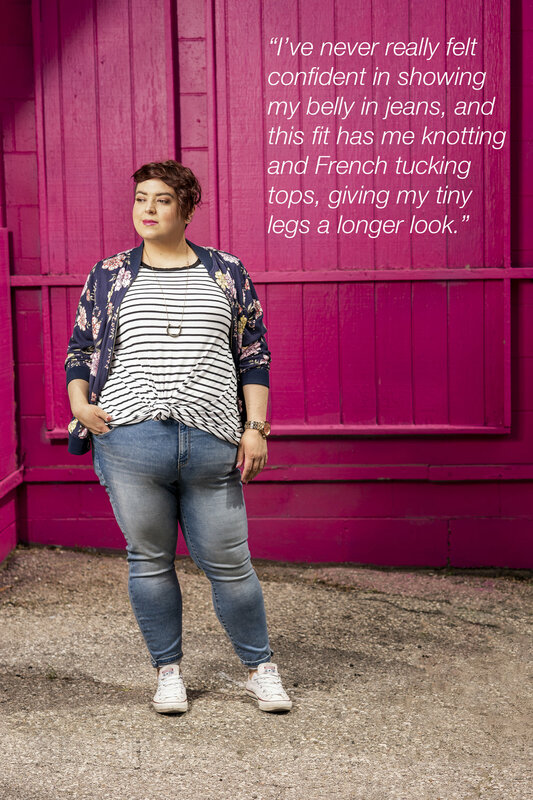 I’ve never really felt confident in showing my belly in jeans, and this fit has me knotting and French tucking tops, giving my tiny legs a longer look.